If you don't know Elon Musk is the King of stupid ideas. He's the guy who predicted that we'd all be driving electric cars around on the moon next year. So, when you are the king of stupid ideas you can't just sit around blowing all the money the Government gives you for your stupid ideas. To keep your crown you have to keep coming up with stupid ideas. The latest from King Elon is a flamethrower. California is still smoldering from the most destructive wildfire in history, cattlemen in Montana and Texas are still fixing there burned up fences, homes, and cattle herds. Now, Elon thinks it will be fun to put a flamethrower in the hands of 20,000 morons. Elon's sales pitch was, "I want to be clear that a flamethrower is a super terrible idea. Definitely don’t buy one. Unless you like fun." 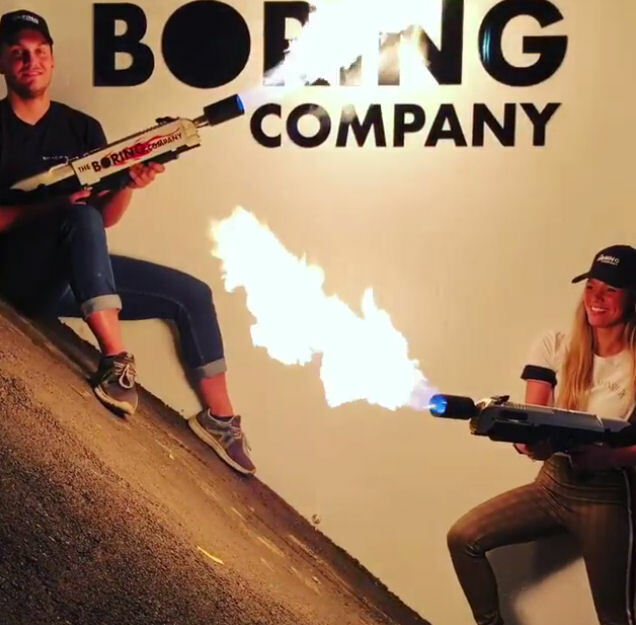 I want to be clear I'm not a fun hater, I'm a dumbass hater, and the main problem with the flamethrower is not the flamethrower itself, but the types of people who will spend $500 on a flamethrower, dumbasses. Idiots that don't know that you can get a hand held blow torch for $20 at the local hardware store. Idiots that don't know you can put a lighter in front of an aerosol can and have yourself a flamethrower. Idiots that don't understand how destructive fire can be. Most importantly idiots who have never seen all of the water wagons that are just sitting around on ranches just waiting for the next dumbass who doesn't understand fire to do something stupid. I'm all for the free market and I'm not saying these things should be illegal, but I also think that it should be legal for any rancher to shoot any dumbass that he sees holding one of these things within a mile of his property, that inludes Elon.